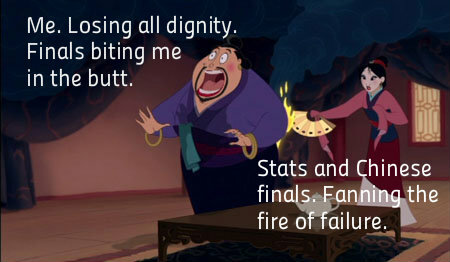 So come at me, finals and future. I shall conquer you. But please be gentle while I am doing so...because I want to be in high spirits when I dance like this man and I want to dance like him all the time this spring/summer. Who wants to be my backup dancer? Good luck during finals, my friends. And to my friends in Boston: I am happy to hear you are okay. Please stay safe! p.s. I'm looking for a roommate or two to live with me this upcoming spring and summer. I like to think that I make a good roommate and rumor has it that people enjoy my company. You can also take this blog as a judgment of my character. Contact me if you are interested (if you're reading this, you most likely have a way of contacting me). p.p.s. To all you gentlemen out there offering, oh, how I wish we could be roommates. Alas, this thing called the honor code prevents our cohabitation from occurring. Thus, my roommate search is limited to women only. Who was it that said "Sure I am of this, that you have only to endure to conquer." I think it was Winston churchill anyways you got this. ITS IN THE BAG! Sam, you are the wisest of them all! Thank you.